While you’re too busy working to stop for a drink of water, and the hours seem to be flying by, it should come as no surprise when dehydration sneaks up on you. Keeping water close by is almost as important as remembering your spouse’s birthday – it could be a life or death situation! Luckily, carrying crucial fluids is easy with water bottles and more that are available at Working Person’s Store. 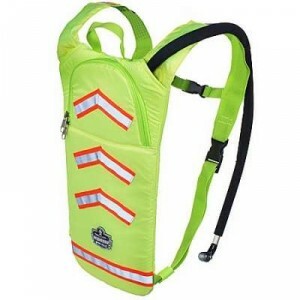 For starters, check out this Ergodyne hydration pack. It’s a lean, mean, high-visibility yellow machine! Alright, so it’s not really a machine, but it’s built in a high-quality fashion to make sure you stay hydrated. It has an H20 capacity of a whopping 70 ounces, so there should be no excuse for not getting enough liquids into your body daily. It’s also convenient to carry, so you can wear this anywhere you go. Hot working conditions might’ve tried to take you out before, but with this low-profile pack, you’ll have water on your back to keep you going. Do you prefer a classic style of holding your water? We’re not talking about vintage wooden buckets that can be lowered into a well (although that’d actually be kind of cool). 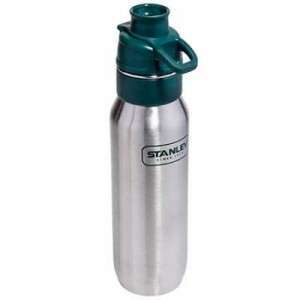 The Stanley stainless steel bottle has a one-handed push-button spout, so you can quickly access necessary hydration. Two hands aren’t needed! This is also leak-proof, so you’ll stay healthy AND the front of your work shirt will stay dry. Keep your hot drinks hot and your cold drinks cold for up to 7 hours in this Carhartt Stanley mug. It’s also designed for one-handed use, and it holds up to 16 ounces of liquid. Spill-proof and dishwasher safe, you’ll be taking this everywhere – even to the neighbors’ bonfire where chances are good that it’ll get kicked over at least once. 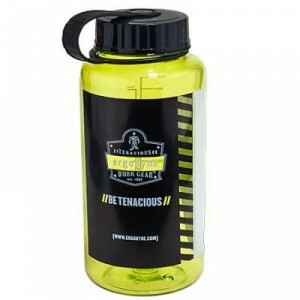 In case you’d rather stick with a plastic water bottle, the Ergodyne bottle is here to help. The lime green color and wide mouth make it easy to see and easy to drink out of. 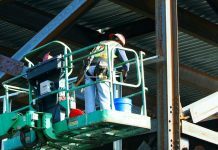 It’s made out of impact-resistant plastic, so go ahead – keep this with you during your chaotic workday. We don’t recommend backing over it with a dump truck, but it’s definitely sturdy and ready to hold your beverages. A water bottle’s all fine and dandy, but you don’t want just water during your lunch break, right? 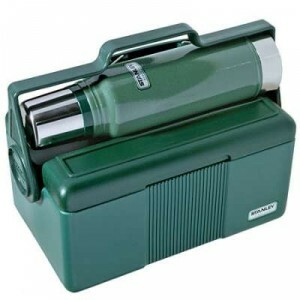 Go all out with this Stanley lunchbox! This is a classic lunchbox cooler + bottle combo. You’ll have plenty of space to store your leftover pulled pork sandwich, and the double wall insulation keeps things cool. 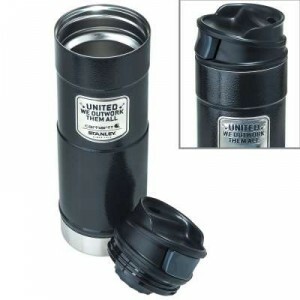 The included thermos locks into place, and there’s a nifty handle for simple carrying action. You’ll be proud to have this green lunchbox, so hopefully, the cool kids let you sit at their table. Previous articleDirt Vs. Your New Boots – Are You Prepared For Victory? Next articleWhich Knife Is Right For You?